"I amso sorry to hear about Daryle passing and so soon after..."
"Your family is in our hearts during this difficult time. ..."
"Tina - I am so sorry for your loss. I will keep you and..."
On Sat., Nov. 11, Daryle Lee Rustvold succumbed to a rare lung disease he had been fighting for nearly two years. He passed away surrounded in love by his family, at 70-years-old. Daryle was born in Vancouver, WA on Mar. 12, 1947 to Edmund I. Rustvold and Agnes (World). When his parents divorced, he was welcomed into the family of his step-father, Eldon Galloway. He graduated from Fort Vancouver High school and served in the Air Force in Okinawa, Japan during the Vietnam Conflict. He worked at the Georgia Pacific Camas Mill for over 35 years. After taking an early retirement, he worked at McKenzie Stadium for the Evergreen Public Schools for over eight years. There he was honored by the Greater St. Helen's League for his contributions to youth athletics. Daryle was an integral member at St. Andrew's Lutheran Church, serving as an usher, in their Wind & Strings Music group, and with their annual Relay for Life team. He could always be found behind the camera, taking pictures to memorialize any event, either in the community or among his family and friends. His love of and enjoyment of music was extensive, studying classical guitar nearly his entire adult life. An avid reader, Daryle had a great appreciation for history, especially that of Abraham Lincoln and the Civil War. He valued most spending time with his large family of nieces, nephews, godchildren and those he chose to call his own. 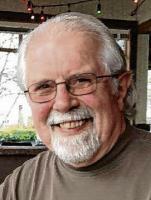 He loved making regular trips to Cannon Beach and attending events at Bethany and Gougér Wineries. He is survived by his brother,Jeff Galloway; and his two daughters, Tina Smith of Fife, WA and Marion (Matt) Lansdon of Vancouver. He was a loving and devoted grandfather to six grandchildren: Austin, Katelynn, Colin and Matthew Lansdon; and Tori and Lauren Smith. He was preceded in death by his wife of 39 years, Margit (Long) Rustvold; his parents, Edmund, Agnes and Eldon; his sister, Marlys (Rustvold) Parson; three infant brothers; and his grandchild, Colin. A Celebration of Life service is scheduled for Dec. 2, at 1:00 p.m. in St. Andrew's Lutheran Church. 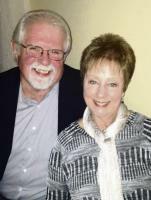 In lieu of flowers, the family requests donations to either The Margit and Daryle Rustvold Scholarship at WSU Vancouver or The Daryle Rustvold Memorial Scholarship at Beacock's Music. Contact WSU Vancouver, Attn: Liz Becker,14204 NE Salmon Creek Ave., Vancouver, WA 98686, or by phone at (360) 546-9281; or Beacock's Music at 1420 SE 163rd Ave., Vancouver, WA 98683 or by phone at (360) 694-7134.